Former Acting National Police Commissioner Khomotso Phahlane has questioned the timing of his arrest. 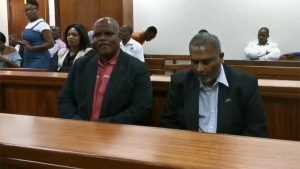 Phahlane and the police’s Supply Chain Management Head Ravichandran Pillay appeared in the Johannesburg Specialised Commercial Crime’s Court on Friday morning, in connection with a R86million blue lights tender. In his bail affidavit, Phahlane says former IPID boss Robert McBride is trying to score points to get his job back. In 2018, the Independent Police Investigative Directorate arrested former Gauteng Police Commissioner Deliwe de Lange in connection with the matter. The charges stem from a 2016 tender awarded to Instrumentation Traffic Law Enforcement owned by millionaire, Vimpie Manthatha. The post Phahlane, Pillay appear in court appeared first on SABC News – Breaking news, special reports, world, business, sport coverage of all South African current events. Africa's news leader..